Michael Stone: Sometimes there's no lesson. That's a lesson in itself. "Anomalisa" is in my opinion one of this year's most important films. 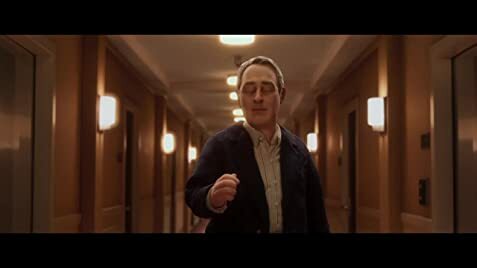 The film centres on Michael Stone, a depressed customer service guru who struggles to connect with others, finally meeting someone he can truly connect with - a woman named Lisa. Anyone familiar with Kaufman's work knows that he has a tendency to write incredibly deep and complex stories embedded with a plethora of themes. "Anomalisa" might just be the one exception (or anomaly) to that fact. The story is surprisingly simple; most of it takes place over the course of 24 hours. 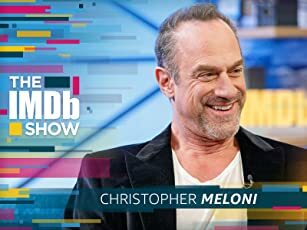 The messages behind it, fortunately, will still require multiple viewings and further analysis in order to be fully grasped. The final synthesis is elegantly woven to near perfection and is at times humorous and even thrilling. Running at only 90 minutes, the film never feels slow nor bloated. I believe "Anomalisa" is a good starting point for those just starting to get into Kaufman's filmography. The stop-motion animation is some of the best that I have ever seen on the big screen. For a project that was funded on Kickstarter, I have to say that the quality of the animation is the equivalent to what you would see in an Aardman Animations or Laika production - if not better. There were certain shots that made me stop and really appreciate the efforts that the team went through just to make all of their characters' movements flow realistically. Kudos to them! 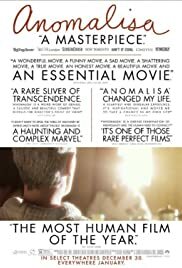 The reasons why I think "Anomalisa" is one of this year's most important films not only have to do with the way the film was financed and produced, but that it also opens up a dialogue on isolation and social disillusionment - they are usually seen as flaws inherent only within the individual, despite the fact that everyone plays some part in furthering it. "Anomalisa" is a true work of art on many levels. It is a simple story that touches on a wide range of emotions, riddled with the complexities of our perceptions on relationships. Do not be surprised if this film makes you laugh more than cry. Do not be surprised if this film makes you cry more than laugh - for that is the true beauty of this anomaly of a film. 112 of 180 people found this review helpful. Was this review helpful to you?